The film details the events leading up to the famous titular 1973 match, which found Riggs, a burnt-out tennis champ and self-proclaimed “chauvinist pig,” challenging the world’s number one female player in an attempt to prove men were superior to women. King was an outspoken advocate for equal pay, while Riggs became a mouthpiece for sexism and misogyny; and it’s not hard to see the parallels to today and the heated political rivalry between Hillary Clinton and Donald Trump. When I hopped on the phone with co-directors Valerie Faris and Jonathan Dayton (Little Miss Sunshine, Ruby Sparks), Faris told me she originally hoped the film would be politically relevant for other reasons — if America had its first female president. But their film isn’t all politics; Battle of the Sexes, written by Simon Beaufoy, spends the majority of its runtime off the tennis court and with Stone’s King as she meets and falls for a woman for the first time (Andrea Riseborough as Marilyn Bennet). The directors told me why King’s personal life, and how it affected her public image, was the main thing that drew them to the project. I really enjoyed this and I left feeling kind of uplifted by it, honestly. Dayton: Well no, thank you. I appreciate you saying that because we obviously want people to — we want to express a point of view but we also want people to embrace the film and feel hopeful. Faris: It’s funny because I think in some ways it’s depressing in that, we haven’t really necessarily come that far. But also a lot of things have changed for the better. But I’m interested in that you say it’s uplifting. That’s interesting. Faris: Is it the [title] cards? I wonder if knowing that Billie Jean has spent her life working for these causes and has accomplished a lot in her life — it’s interesting how the story ends in sort of an unresolved place, but then the cards kind of give you that sense that things got better. Right. Watching it feels incredibly relevant today in light of Clinton and Trump. We of course haven’t come that far and are still dealing with the same rampant issues of sexism. But I’m curious if that political relevance was on your mind when making this, or was it a coincidence that the film is opening now? Do you hope the film can help audiences ruminate on the fact that we haven’t come that far? What’s the message you aim to leave people with? Dayton: I do think that it kind of circles back to what you said, which is why we appreciate what you began with, which is, we want to inspire people and lift them up, even though there is a huge distance we need to travel. I think we wanted to entertain people. We love the movie theater experience. There’s nothing like seeing a film with a group of people, especially when it’s about something. So, hopefully this is a conversation starter. Faris: Yeah, without a particular message, but more that you felt something during the movie and maybe it made you want to talk about some of these issues. I guess that’s sort of what you hope for, to get the conversation going. There’s also a great sense of humor in the movie. 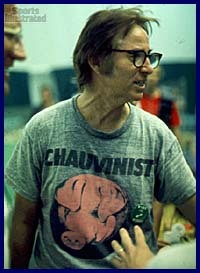 It really invites us to laugh at Bobby Riggs and all of his antics. Dayton: And Billie Jean is laughing at him. One of the things that’s funny, we were just with Billie Jean this afternoon and we were talking about how you always need to respect your opponent. And Billie Jean thought highly of Bobby. She disagreed very much with the chauvinism, but she knew that he was a great athlete. Faris: Yeah, she engages, that’s what she does. She’s amazing when you see her speak. She’s just so good at engaging people and she puts out, she’s a giver and a doer. Did that mentality of respecting your opponent play into the way that you portrayed Riggs and humanized that character? Faris: When you study a character, when you’re making a film, you want to understand the character, like what makes them tick? What we felt from Bobby was, this guy was really just looking for a way back into the action. His career was kind of over and he loved being in the spotlight. So this was just something he could exploit in order to get back into the conversation, to be a part of the action. One of the things I really loved about the movie is how much it focuses on Billie Jean exploring her sexuality and meeting Andrea Riseborough’s Marilyn. Faris: That was really why we wanted to tell this story. It was part of the story that we didn’t know going into it. We were alive during the Battle of the Sexes, but that story hadn’t really been told. We thought, this is such an important part of her story. So it was kind of a nice idea, we could make a sports movie that also had this incredible love story within it. Dayton: There are so many ways in which Billie Jean is a hero. We felt that her courage to be her authentic self and just to act on her desires was a really important thing to show. Faris: Especially during a time when she was under so much pressure and everybody was watching her. She didn’t let that stop her. You two get a really intimate performance out of Emma Stone that touches on the personal and private aspects of Billie Jean’s life. Was that informed by spending time with the real Billie Jean? Faris: And very much in the closet. I mean, that’s what was interesting. Once we learned this, that, oh my god, she was having an affair all this time and yet publicly she was married, she was hesitant to even call herself a feminist. It was a very different time in that way and I think that was a really powerful part of this story for us, that having to balance her public image with her private life and what was really going on during all of this. Do you think audiences who saw the match in real-time and only got to know Billie Jean through the media will leave this movie with a better understanding of that balance between her personal and public life? Faris: If you watch the original match, Marilyn is actually on the side of the court, she’s sitting right near Larry. Faris: It wasn’t pure triumph. She still had a long way to go personally in her life. I think that was interesting to us. It was another 13 years before she divorced Larry. Dayton: Yeah. Still so much sort of weariness. That really led us to dig into this story. Battle of the Sexes opens September 22.